SSouth Africa is well-known for its tourist attractions, not to mention its awesomely dynamic range of accommodation. It stretches from game lodges to five-star hotels, to friendly country houses, small hotels, B&Bs and camping sites – all kitted out with a range of catering options. Whether you’re a student traveller, family holiday goers, or retirees on life’s great adventure, there is accommodation for everyone. 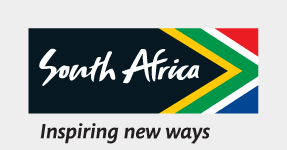 South Africa has an established network of affordable accommodation options that are surprisingly comfortable and luxurious. If you’re feeling adventurous, there’s an active camping community that will provide you with all the relevant information about different campsites countrywide. Pre-booking is generally advisable. If you would like to save some money then you should consider looking into bed and breakfast options. These differ as some offer self-catering units and some are fully serviced. They range from apartments to holiday villas, chalets and even farm cottages. On the other hand, guesthouses are slightly more expensive but worth it for the warm, homely South African experience. If you’re a five-star traveller, then you’ll be happy to know that South Africa is home to some of the most luxurious lodges and hotels in the world. South Africa has a number of globally famous hotels such as Mount Nelson, Twelve Apostles and Mala Mala. It’s worth mentioning that you’ll find that you pay less for luxury in this beautiful country when compared to other, more expensive, countries in the world. Safari lodges usually offer the all-inclusive variety, and will give you safari game drives, meals, and drinks or spa facilities, particularly if it’s an upmarket establishment.